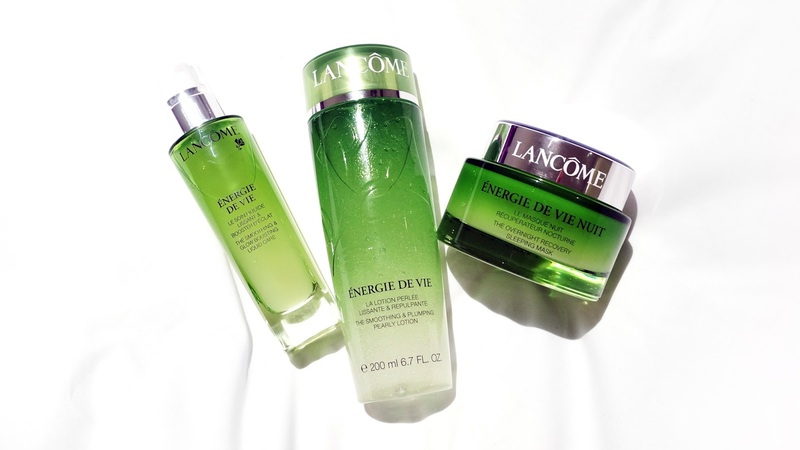 A new skincare range from Lancôme is finally hitting our shore and I was lucky enough to have the opportunity to try out this brand new range - Energie de Vie. This range is designed to be a simple and highly effective routine that is suitable for all skin type, targeted for the generation "Y", aged 25 to 30, to combat urban fatigue. 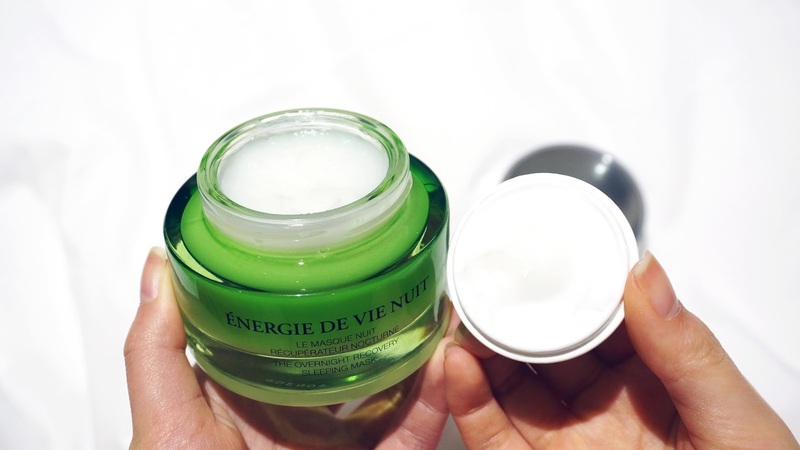 In the past two weeks, I have been using the products from the Énergie De Vie range which includes the smoothing and plumping Pearly Lotion, smoothing and glow-boosting Liquid Care and overnight recovery Sleeping Mask. So far, my skin feels smoother and more hydrated and plumped, especially around the nose and cheek areas, which tend to get very dry during this time of the year. With the 3 key ingredients being lemon balm, goji berry and gentian, Energie de Vie promises to deliver intense hydration and energy to bring back a youthful radiance to the skin. These powerful ingredients are carefully chosen for their energising, soothing and antioxidant properties to create an energising cocktail for the skin. The Pearly Lotion is described as a "liquid essence", which is an essential step in the Korean skincare routine to help the following skincare products absorb better and perform more effectively. 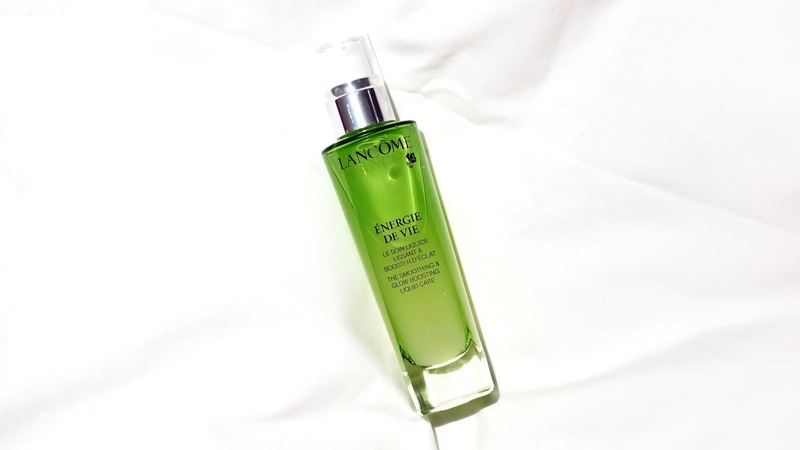 It is definitely a wake-me-up product that I enjoy using it in the morning to restore hydration to the skin straight after cleansing and before applying a serum and moisturiser. It is lightly fragranced with a light floral scent that is pleasant and refreshing to use. This lotion has a consistency of somewhat in between a toner and a serum. It is a unique mixture of water and oil that feels smooth and nourishing to apply. Looking at the bottle, you can see little droplets of lemon balm oil suspended in the lotion. 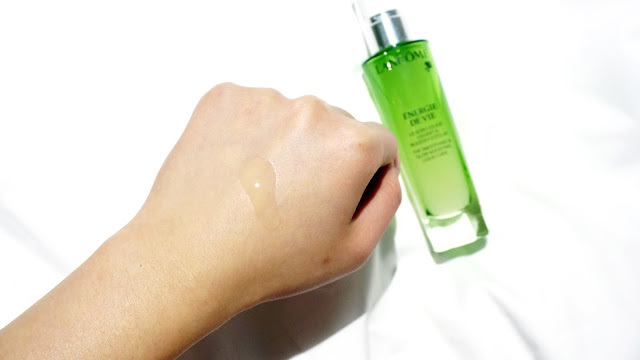 Using just a few drops every time, I gently pat it on my face with my hands to rehydrate my dull looking skin after cleansing. 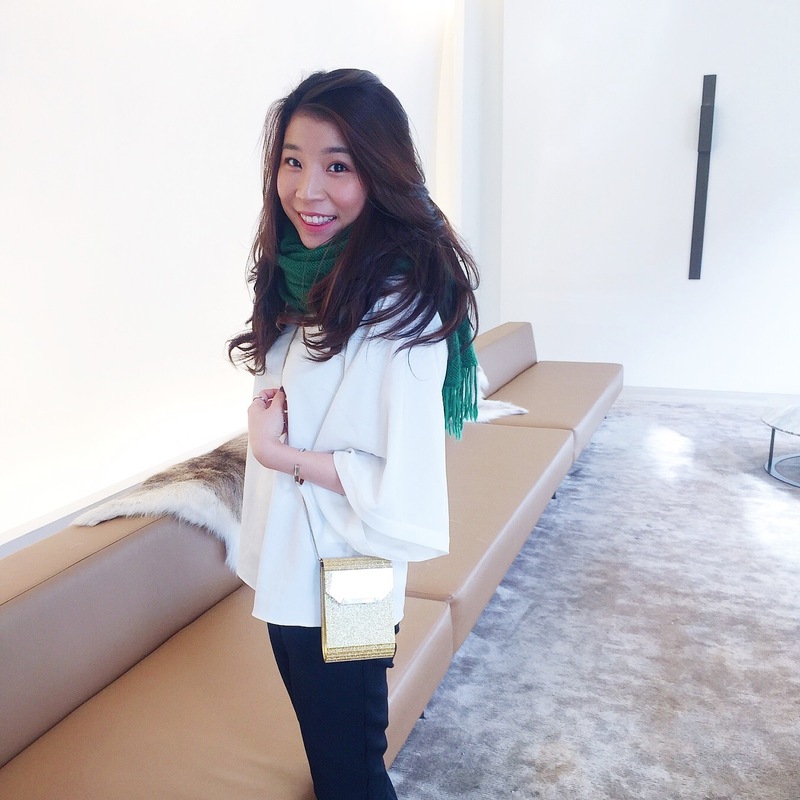 It absorbs quickly after a few seconds and it doesn't leave my skin feeling oily. The star product in the range is the Liquid Care - also inspired by the Asian beauty routines. 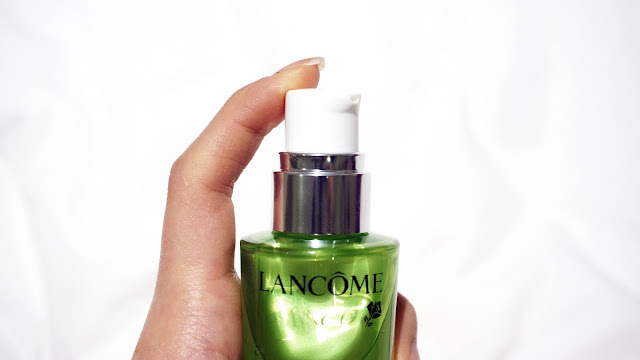 Being Lancôme's first liquid moisturiser, it is something I have never come across before. Judging from the packaging, I initially thought it was a serum, but I was wrong. This product is designed to be a 3-in-1: as fresh as a lotion, as concentrated as a serum and as moisturising as a cream. - "Powerful, innovative and real." 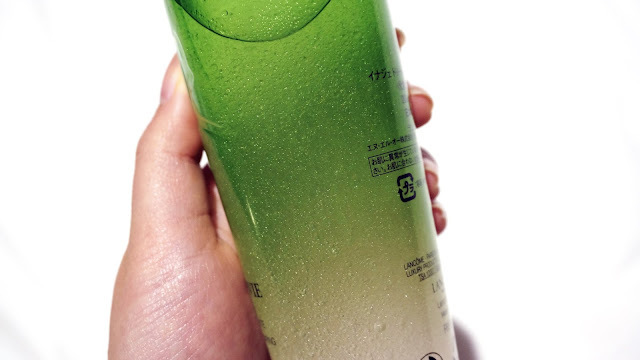 It is packaged in a nicely weighted glass bottle with a pump, which is always a plus! I use about 1-2 pump to cover my whole face, depending on how dry my skin feels on the day. A little goes a long way (my skin drinks this stuff). Even after the first few uses, I could already feel my skin being softer and more plumped, looking smoother and more even-toned. The lightweight consistency helps it to instantly absorb into the skin once applied without leaving any residue behind. Even though it is not thick like our traditional moisturiser, it is surprisingly hydrating enough that I have been using it in place of my moisturiser. It is literally water for the skin! 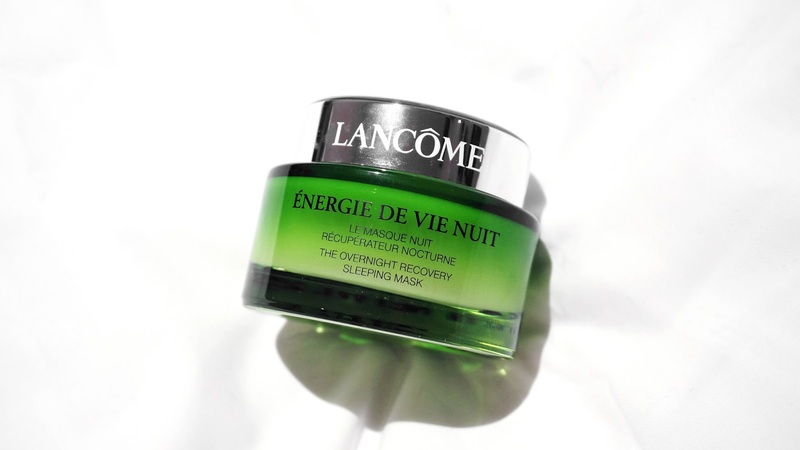 The last product I tried is the Sleeping Mask, a supercharge overnight treatment that helps to boost hydration, repair and improve skin texture. 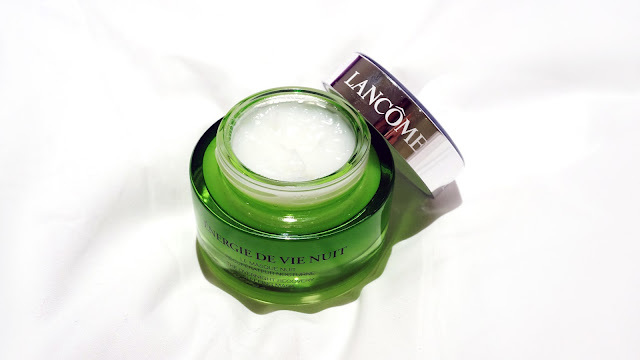 If you are like me, who wants to wake up with highly moisturised and radiant skin, this is for you! I am a big fan of sleeping masks and they are hugely popular in Korea as your skin works to repair and renew while you sleep. It also helps to lock in everything that has been applied prior to the mask to allow better penetration. 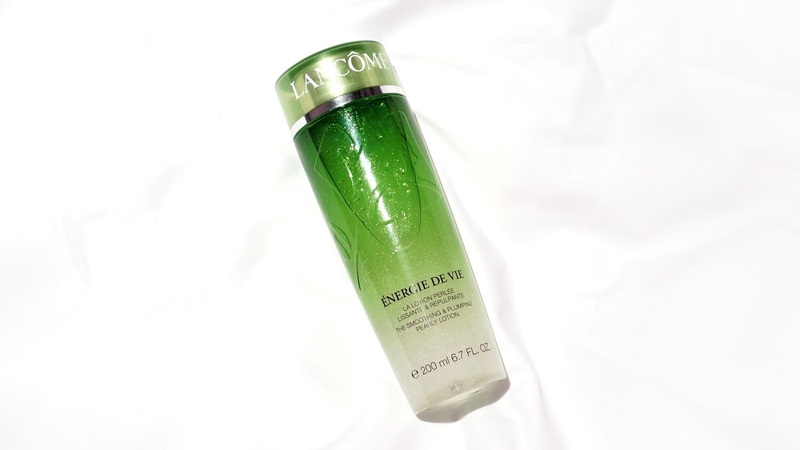 This mask has a light gel texture that is velvety smooth to touch. When applied to the skin, the mask instantly breaks into micro water droplets that melt right into your skin. It feels very refreshing and cooling on the face, I especially love using it after a long day at work. One thing that sets this product apart from the rest of the sleeping masks is that you can actually wear this overnight without making a mess on your pillowcase. Some take forever to sink in and leave a layer of residue on the face. This doesn't feel thick or uncomfortable to sleep in. Whenever I use this overnight, skin looks visibly softer and less dull the next morning. I usually apply a pea-sized amount all over my face as my last step in my skincare routine, after any serum and moisturiser. I will massage it in for about a minute or two and leave it on for another 5 minutes before going to bed to ensure that the mask has fully absorbed. If you don't like sleeping in masks, you can always use this as a regular face mask for a quick boost of hydration. Simply apply a generous layer and leave it on for about 10-20 minutes. I do this sometimes in the morning to freshen up and prepare my skin for makeup. After reading a little more about the story behind Energie de Vie, this is what I gathered - "the body talks and there comes a time when fatigue begins to show." Signs of fatigue may gradually lead to the first signs of ageing: dull and sagging skin, dehydration, fine lines and redness. As a "gen Y'er", I believe it is time to take action before it is too late. Available on 21st August at all Lancôme counters (David Jones and Myer) and online. 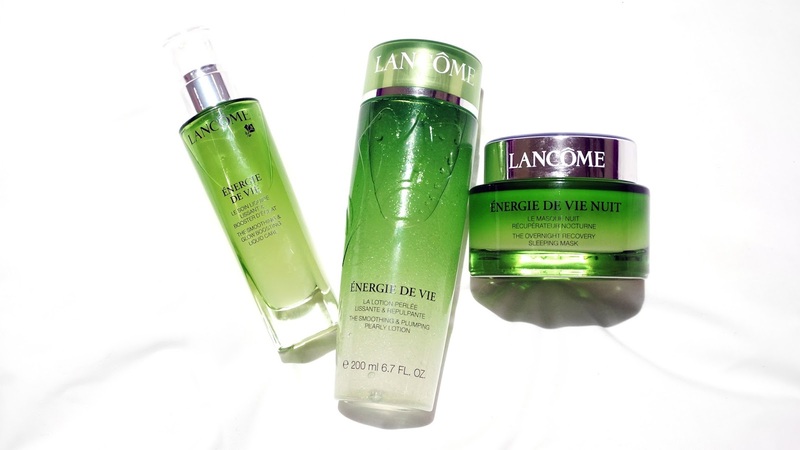 What do you think of the new Energie de Vie range? Are you intrigued? Let me know your thoughts!